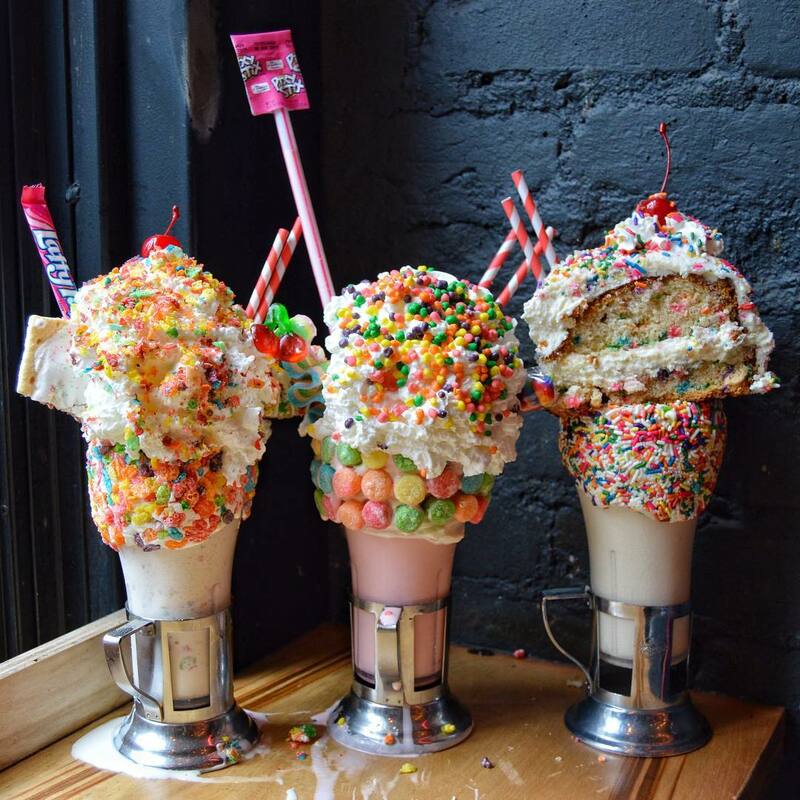 Black Tap Craft Burgers & Beer—that infamous purveyor of towering, structurally unsound desserts—knows how to make a milkshake Instagram-famous. First, anything can be a topping if you believe in it. An ice cream sandwich? Slap some frosting on the back and stick it to the side of your milkshake glass. A slice of cake? Treat it like a cherry and plop it on a cloud of whipped cream. A whole cake? A mere garnish for your frosty treat. Second, a little millennial pink goes a long way. Look no further than the mini-chain's signature Cotton Candy Crazy Shake, or their black cherry-flavored Sour Power version, rimmed in matching pastel gummy candy. And, third, the internet loves an early aughts reference (case in point: the Lizzie McGuire-inspired caption on this milkshake shot). That's why it makes sense that Black Tap's latest (maximalist, pink on pink) creation is inspired by what might be the most-quoted movie of the 2000's: Mean Girls. From Wednesday, September 12 through Sunday, September 16 (and again on Wednesday, October 3), Black Tap is offering a $19 strawberry Mean Girls Crazy Shake, complete with its own burn book and "fetch"-emblazoned tee (both frosted sugar cookies from Texas-based bakery The Best Box Ever, both Regina George-approved). In line with the "on Wednesdays we wear pink" theme, it's topped with an extra large marshmallow, a dusting of strawberry pop rocks, and a cherry. 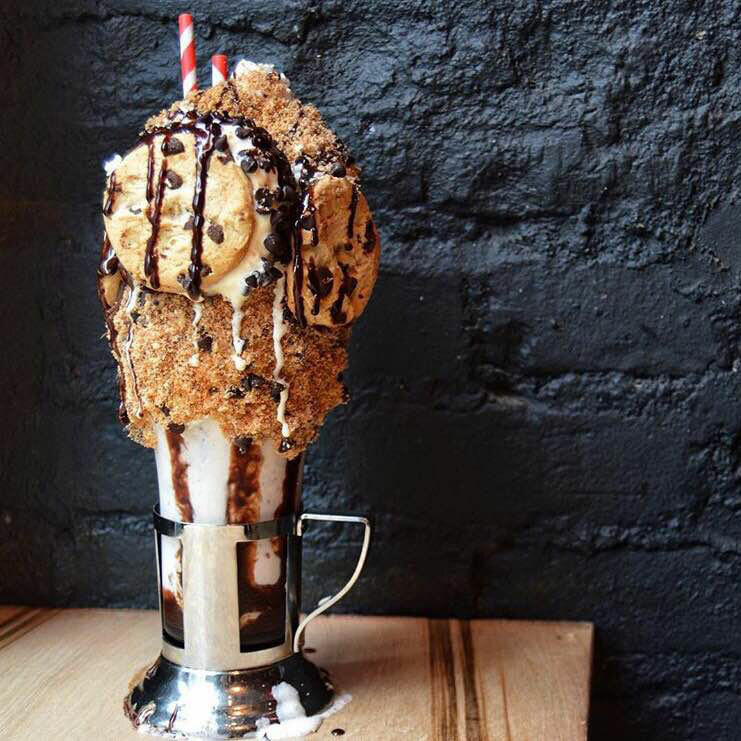 You don't need to have a fifth sense—like, ESPN or something—to know that this milkshake is about to be all over your Instagram feed. The Mean Girls shake is only available at Black Tap's New York City locations, but it won't be long before those on the West Coast can try the restaurant's limited edition desserts. Black Tap is slated to open its first California location in the heart of Disneyland's Downtown Disney district later this year. Dole Whip, you're about to have some serious competition.